Happy New Year 1888 ~ cast iron, 6 1/2 x 4 1/8″, traces of original glitter. 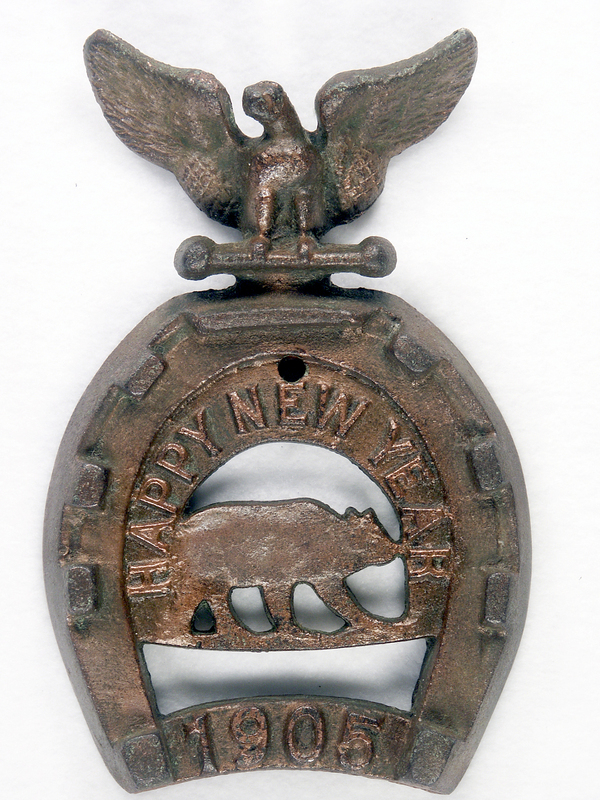 Happy New Year 1905 ~ cast iron, 6 x 3 7/8″. The bear emblem might suggest a California origin. Hole later drilled in center for wall mount. Unsigned on reverse with original hanging hook. ● Antique horseshoe plaque trivets date from the late 1800’s through the early 1900’s, when fraternal orders were at their peak. ● Some were carnival prizes and still bear traces of glitter. Others were lodge favors, commemoratives or gifts. 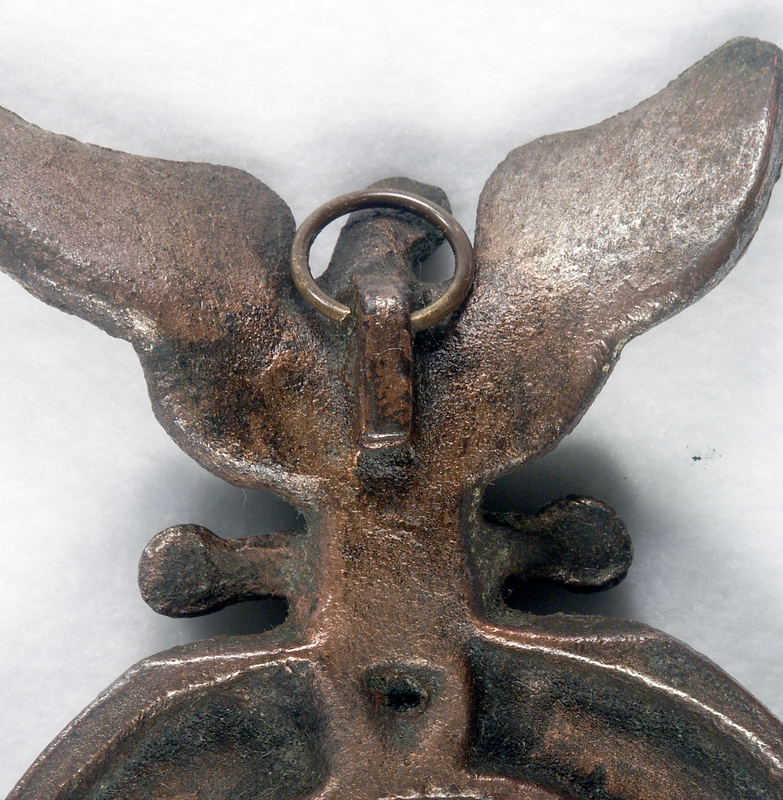 ● These trivets were cast through the lower ends of the horseshoe. If the molten iron didn’t completely fill the mold, the wing tips or beak of the eagle at the opposite end could appear to be unevenly cast. ● A trivet might appear to be brass if gilded paint was applied; be sure to check with a magnet- which will stick to cast iron. ● Avoid the temptation to refinish or remove traces of old paint and glitter, which add charm and evidence of age to these unique relics. 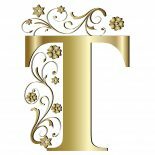 This entry was posted on December 31, 2016 by Lynn Rosack in Antique Trivets & Stands and tagged cast iron, Happy New Year, Horseshoe Plaque Trivet.